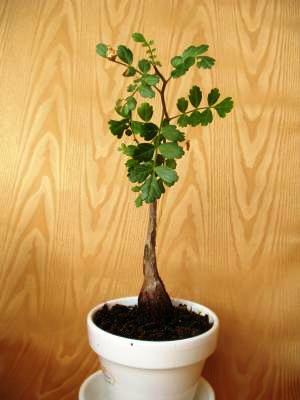 Synonyms: Bursera obvata, Turez. 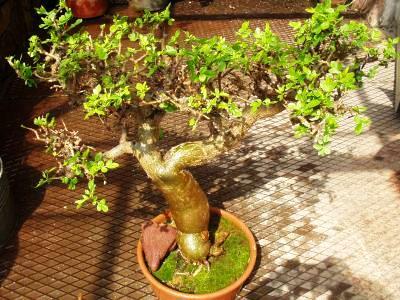 Bursera scheffneri, Watson. Elaphrium fagaroides, Kunth. And Rose tried: Elaphrium obvata + Elaphrium scheffneri. The tiny flowers are crème. Photo by Ivan Cupic who found it at Kibutz Yotvata, Israel. Probably this species. 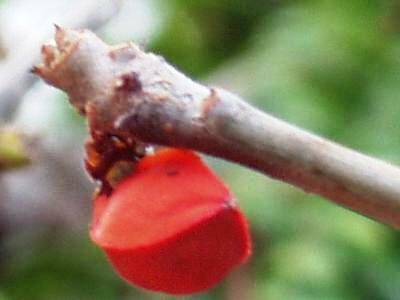 This member of the Burseraceae family was described by Heinrich Gustav Adolf Engler in 1883. It is found in the North-Western part of Mexico, and up to Aizona. Growing in well-drained soil with little water and lots of sun. The stem can grow to 30 centimetres or more in diameter, and will reach up to eight meters high. 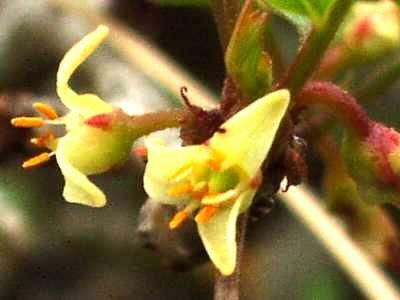 The flowers are crème to greenish in colour, and the plant can be reproduced both by the small red seeds and by cuttings.